Traffic is up 12 percent year-over-year for the port of Hamburg, with 800,000 passengers expected this year. The widening of the harbor basin adjacent to the Altona terminal has been among the items driving the good news, with additional berth assignment options now available for large ships according to Kathrin Schweppe-May of Cruise Gate Hamburg. First time callers include the MSC Preziosa, the Norwegian Jade and Independence of the Seas. 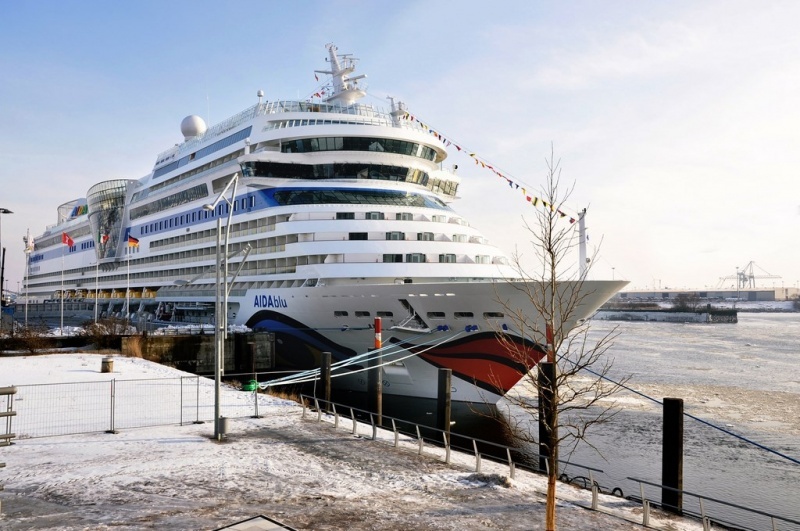 “This year’s Hamburg Cruise Days and Blue Port are expected to see record participation of ten cruise ships calling over the weekend. Participating ships will include AIDAprima, MSC Preziosa, Hapag Lloyds’ Europa and the Europa 2, the Mein Schiff 3 from TUI Cruises, Albatros and Amadea of Phoenix Reisen, Silver Wind, as well as Norwegian Jade and Plantours’ Sans Souci – which will be the first appearance of a river vessel at the event,” said Schweppe-May. The parade takes place on September 9, with six cruise ships leaving the port jointly. The port has also been able to drive winter business, with the AIDAprima homeporting year-round, but set to take a break this coming winter. There are also regular calls, as 2017 started with the Queen Elizabeth docking on Jan. 5 and is going to close with the Aurora, which calls on Dec. 31. December has also been a hit with Hamburg’s Christmas markets and calls from British cruise lines, said Schweppe-May. A new cruise terminal is set to open in 2021, and will be integrated into a real estate complex including shopping, hotel, and entertainment options. 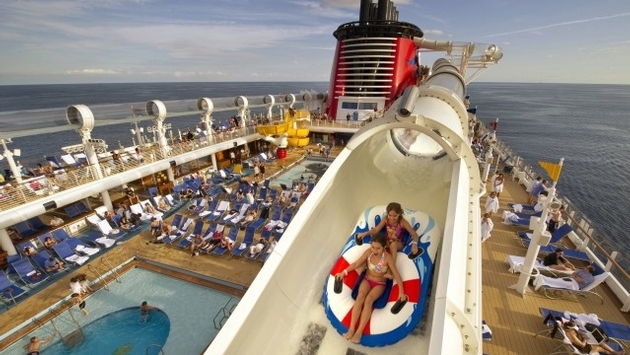 Probably the most elaborate water slide on a cruise ship today is the AquaDuck aboard the Disney Dream and Disney Fantasy. 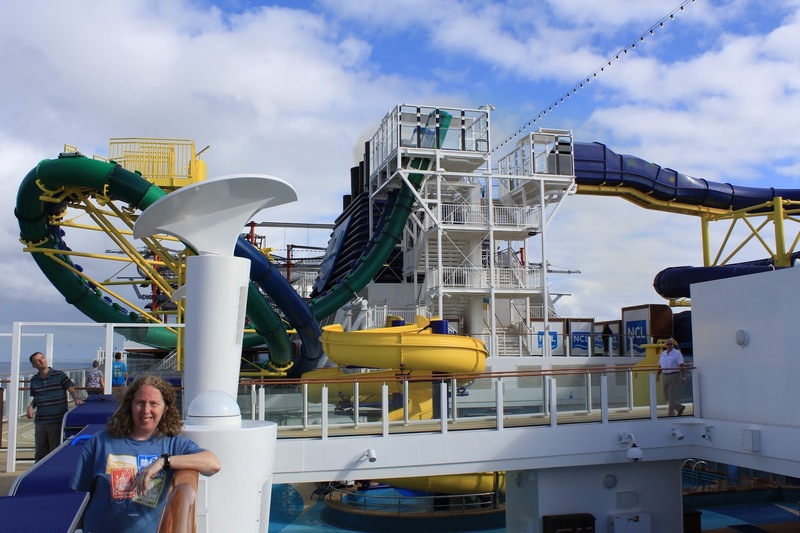 Not only is it a single or tandem raft slide, it’s also a full-blown water coaster with exciting dips and turns cantilevered out over the side of the ship leading to uphill sections before a leisurely return to the deck below. Like the AquaDuck, the similarly named AquaDunk tells the story of Donald being subjected to the water slide experimentation of his mischievous nephews – Huey, Dewey and Louie. Only this time on the Disney Magic, the raft variety has been replaced with a free-fall one where the floor drops out from under riders before a speedy descent. As raft water slides go, most only accommodate one set of riders at a time. However, the Aqua Racer aboard the Norwegian Escape can accept two as the tube widens out in sections to see if one might pass the other. All the while, a translucent portion overlooks the ocean below while lit coloured patterns activate the rest. Also on the Norwegian Escape, as well as the Norwegian Breakaway and Norwegian Getaway, are two side-by-side Free Fall water slides, not entirely dissimilar to the AquaDunk on Disney. Except, this time there is so much momentum gained that riders are catapulted uphill for a portion of the loop before finishing off in a dramatic trough splashdown. The last free-fall variety on this list is Carnival’s Green Thunder on the Carnival Legend, Carnival Pride and Carnival Spirit, which is nearly identical to the AquaDunk on Disney, making it a thrilling but quick seven-second or so ride. More unique to Carnival is the Kaleid-O-Slide aboard the Carnival Vista. This raft water slide features an enclosed section with translucent colored stripes that are illuminated by the sun and create a chromatic strobing effect as riders approach a final open-air stretch before coming to the finish line. While not yet sailing, the Slideboarding water slide anticipated aboard the MSC Seaside will be a very unique attraction that will combine a board riders sit in with video game-like controllers. As riders traverse the wet path, lighting effects will prompt them to respond with the onboard buttons, and scores will be ranked upon each guests arrival below. As dramatic water slides go, Royal Caribbean International features the Tidal Wave as part of its Perfect Storm trio aboard the Liberty of the Seas. This raft slide starts out in a tube that slingshots riders down a fast descent prior to opening up to a half-pipe-like structure that boomerangs riders up and down the sides before levelling off. While not technically a water slide, the Ultimate Abyss aboard the Harmony of the Seas must be included as an impressive addition on a cruise ship. This dry slide has riders sit in burlap bags to avoid rug burn as they spiral swiftly down an astounding 10 decks from the FlowRiders above to the Boardwalk district below. One final entry aboard the MSC Preziosa is what the line touts as the longest single-rider body water slide at sea. It measures in at 394 feet long and 42 feet high after all, complete with a translucent 30-foot pass suspended over the side of the ship for even more thrills.